Quality control in production: How to eliminate a bottleneck? Home / Blog en / Quality control in production: How to eliminate a bottleneck? Avoid wasting resources when checking the quality of your production. We tell you how to optimize the quality control of your company. 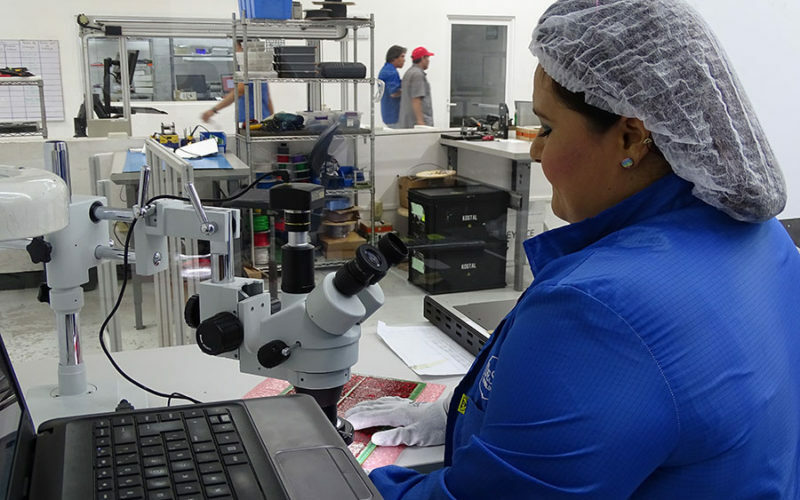 Quality control inside a company consists in a set of mechanisms, actions and tools focused on the detection of errors and failures throughout the production process. However, the evaluation of a product can be expensive because its implementation requires time, money and effort. The phenomenon known as “Bottleneck” refers to the circumstances in which quality control tests totally or partially stop production. Adapting the whole process to the bottleneck and not producing more than what can be analyzed. Record of errors: This allowed the department in charge of verifying the quality of the products to verify with greater certainty the errors that could occur during the production. However, thanks to the enormous advance of technology, today companies have the option of eliminating the bottleneck generated by quality control without sacrificing production. The implementation of custom tools built to detect anomalies in a single type of product or process has given companies the opportunity to increase the quality of their inputs and products. The versatility of the technology has allowed companies to obtain accurate data to avoid production errors in the future, in addition all information can be viewed in real time which facilitates decision making and increases productivity. Learn how Desa Test Systems can help your company maintaining an accurate quality control implemented 100% customized solutions for your company. Check our notice of privacy.